Hello everybody, welcome back to Crafty Time 4U! I am so glad to be back with more colorful inspirations. 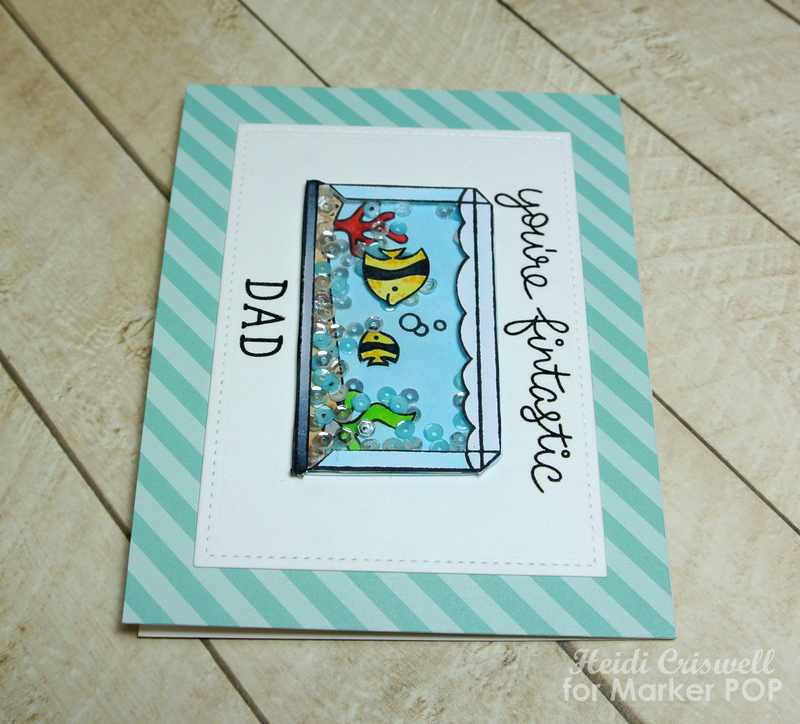 I am sharing with you a very simple shaker card using the new "Fintastic Friends" stamp set by Lawn Fawn. I love this cute and sweet set full of adorable little images, which you could fill with color! 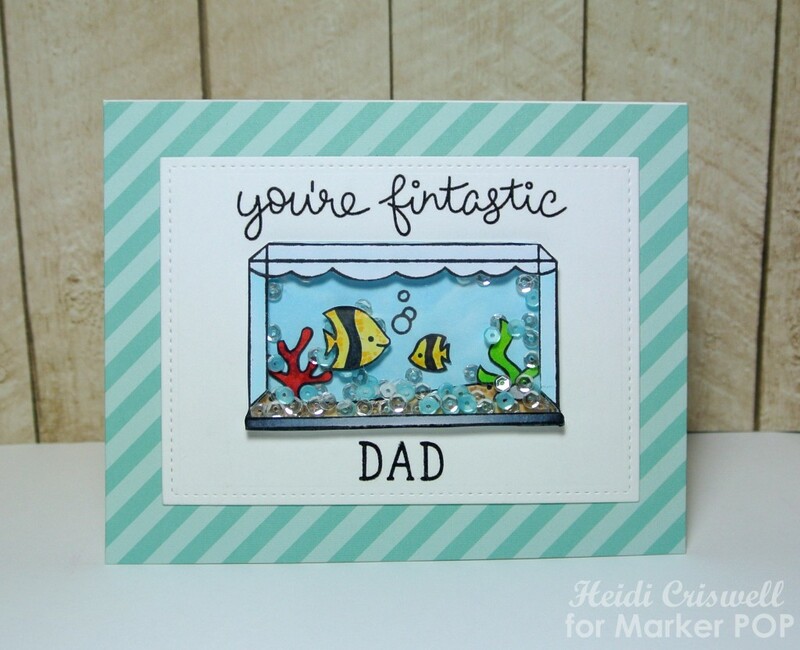 This is a Father's Day card so, I wanted the focus to be on the Fish daddy and fish kid, however, there are many little images on this set, that you could add to the inside of the fish tank. I also wanted to keep the card as simple as possible, since is a sort of a masculine card. I cut all the images using scissors, however, you could used the dies, but I think this gives it a more realistic look. What do you think? Because of the size if the fish tank, I used 4mm. Pretty Pink Posh Sequins on "aquamarine" and "clear sparkle"
I'm seriously in love with this one!! Thanks so much Shannon, Have a great week! Heidi, you really outdid yourself with this shaker card! I absolutely love the shine from the sequins and the fish tanks looks so real! Like water is bubbly up. I love, love, love it! Can you tell? Lol! Aww thanks so much Ka, you are so sweet, and it makes me happy that you really love it! Thanks so much Francesca! I'm so glad you stopped by! Oh how COOL!!! Very Creative! LOVE your Shaker Card! :) Have a Crafty Day!!! Thank you so much Theresa! So happy you loved this card, Have a wonderful day! Thanks so much Amy! So glad you stopped by!